We all know what it feels like to go back home after a long holiday. Never mind the fact that our suitcases have gotten heavier, thanks to the outlet malls in central Florida, in most cases the night was short and the trip long and tiring. Our Transatlantic crossing onboard Celebrity Infinity was loads of fun, and we wished we could keep the cruise feeling going for a little longer. Keeping this in mind we wanted to make the journey back home as enjoyable as possible. 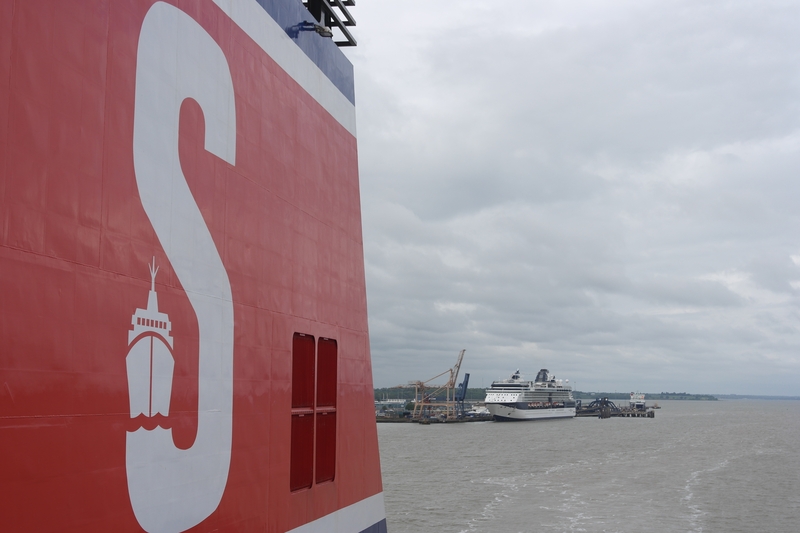 So instead of taking a train from Harwich to London, dragging our bags on the undergound, followed by another ride on the Eurostar, this year we decided to cross the North Sea by ferry. 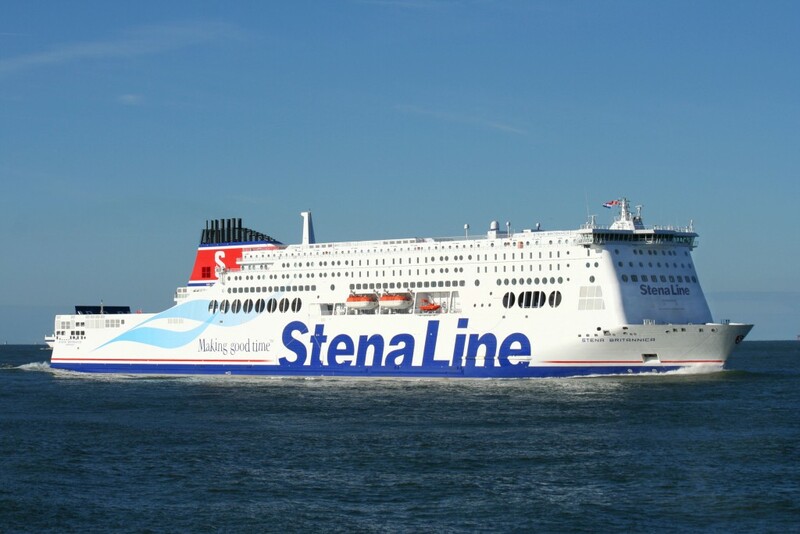 The ferry between Harwich and Hoek van Holland is operated by Stena Line. As you leave the Harwich cruise terminal you head to the train station, where you don’t need to stand in line with the rest of the passengers who also need to buy a train ticket to London. 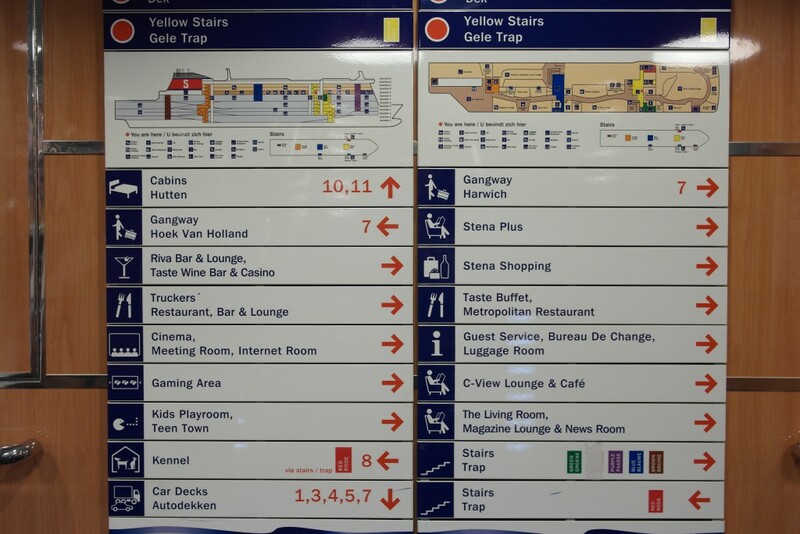 You can directly go to the security/check-in area of the ferry terminal. You have the option to check your luggage or keep it with you. We opted to keep our bags with us. 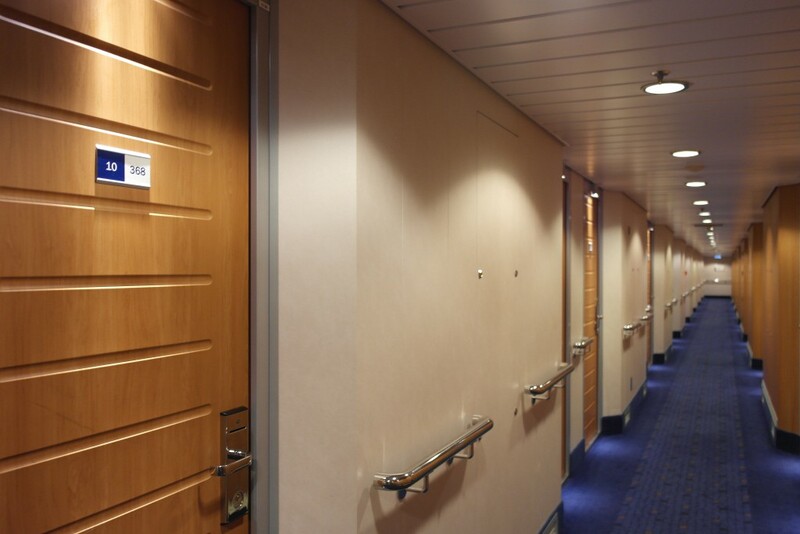 This meant we had to drag them up a long and steep gangway to board the ferry. But this way we had all our belongings with us and wouldn’t have to wait for them when we arrived in Holland. Our ferry Stena Britannica was built in 2010 and is a so called Ropax ship, meaning a ferry with both a roll-on/roll-off car deck and passenger-carrying capacities. 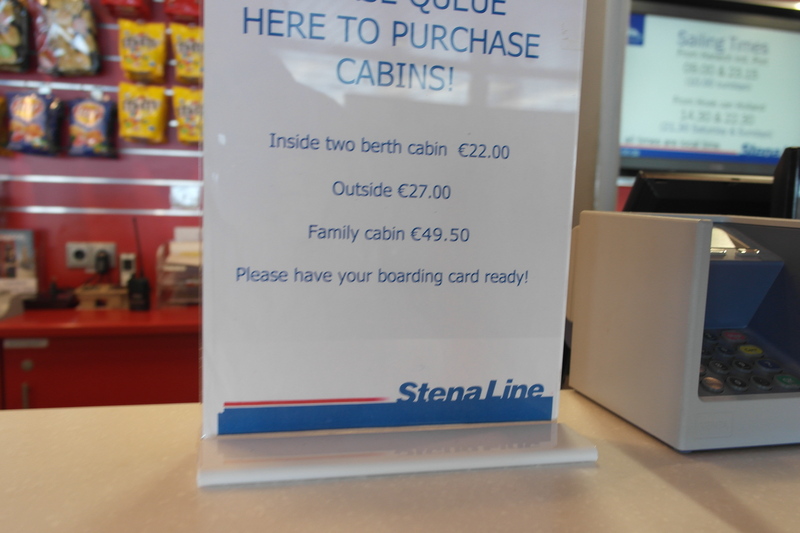 Furthermore as Stena Britannica has a passenger capacity of more than 500 it is considered a cruiseferry. 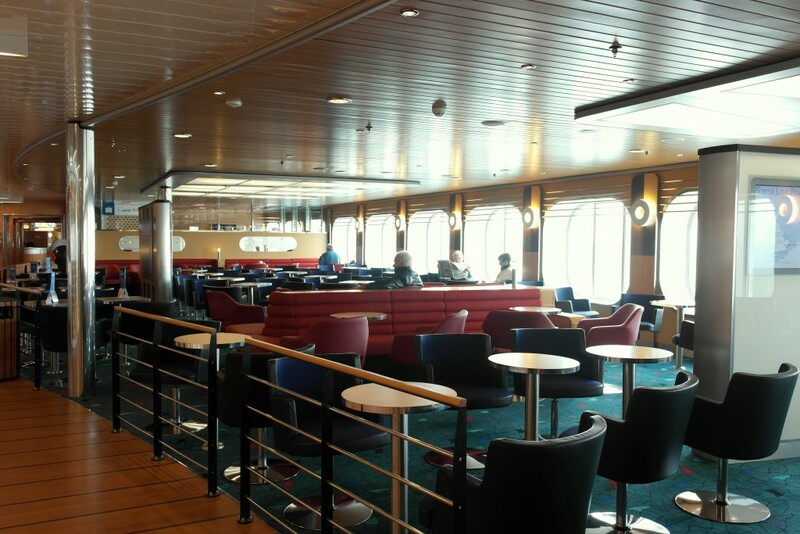 In fact many passengers apparently travel with these ships for the cruise experience, staying only a few hours at the destination port or not leaving the ship at all, while others use the ships as means of transportation. In our case we were more than happy with both reasons. Stena Britannica, together with her sister ship Stena Hollandica, provides a twice daily service across the southern North Sea between Harwich and Hoek van Holland. The crossing takes 7 hours. 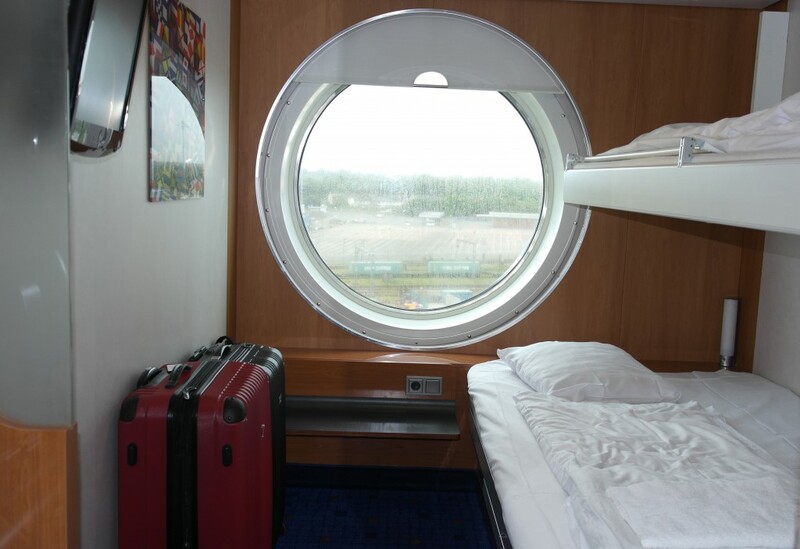 Keeping in mind that the last night of any cruise is always a short night for us we booked a cabin, giving us the chance to catch up on some sleep. As soon as we got on board we went looking for our cabin. 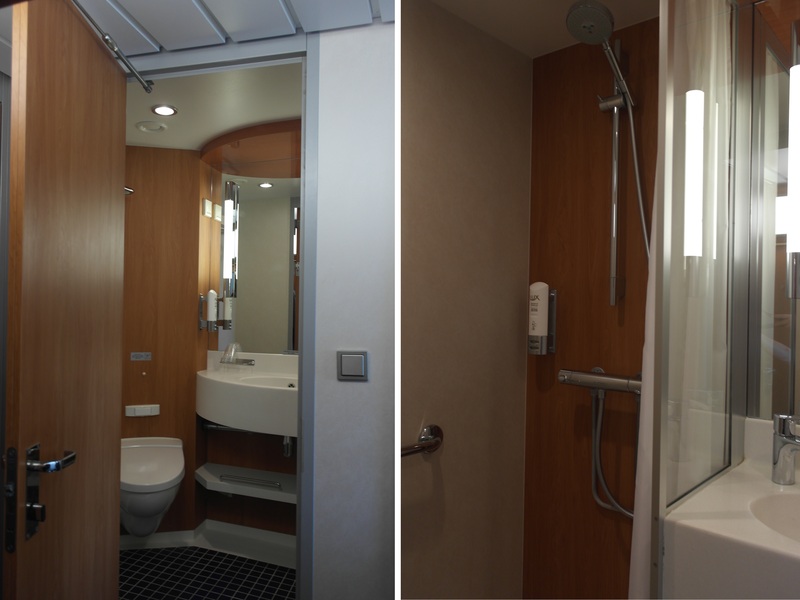 The (small) stateroom offers 2 beds, a (small) flatscreen tv, a workstation and a full (small) bathroom. 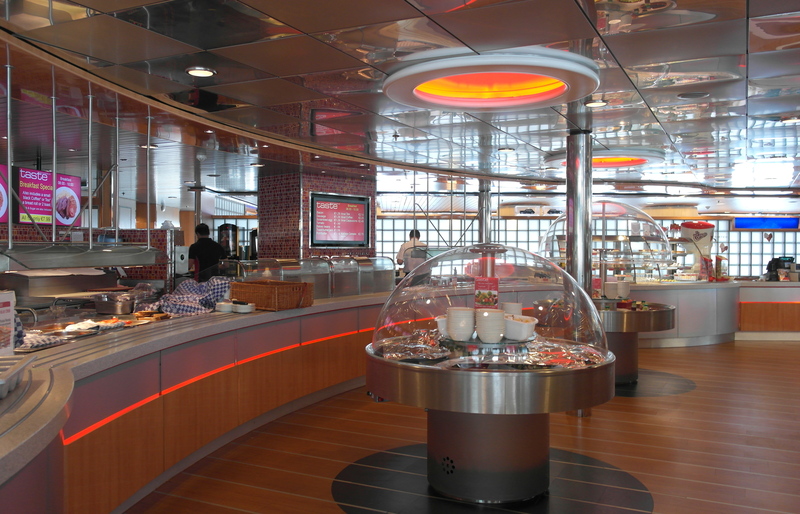 By the time we dropped our bags it was time to go outside for the sailaway followed by an exploration of the ship. 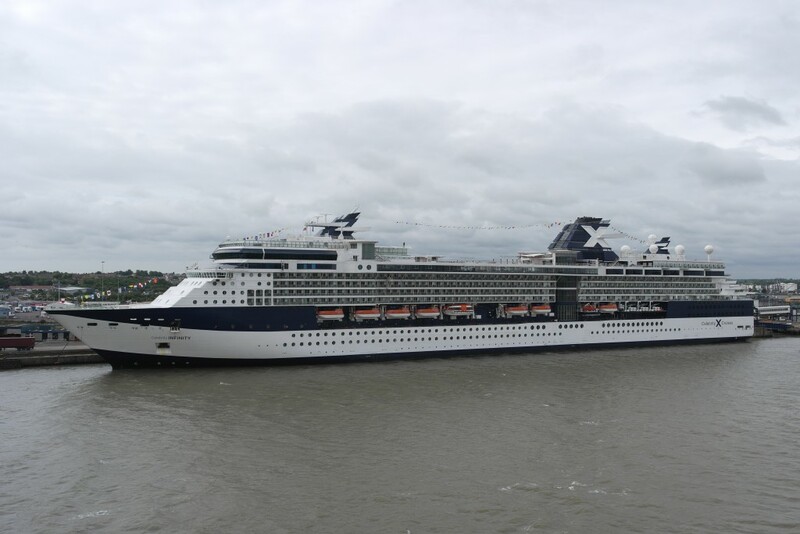 One of the advantages of taking the ferry was sailing past Celebrity Infinity, our home for 2 weeks, finally allowing to take an unobstructed picture. 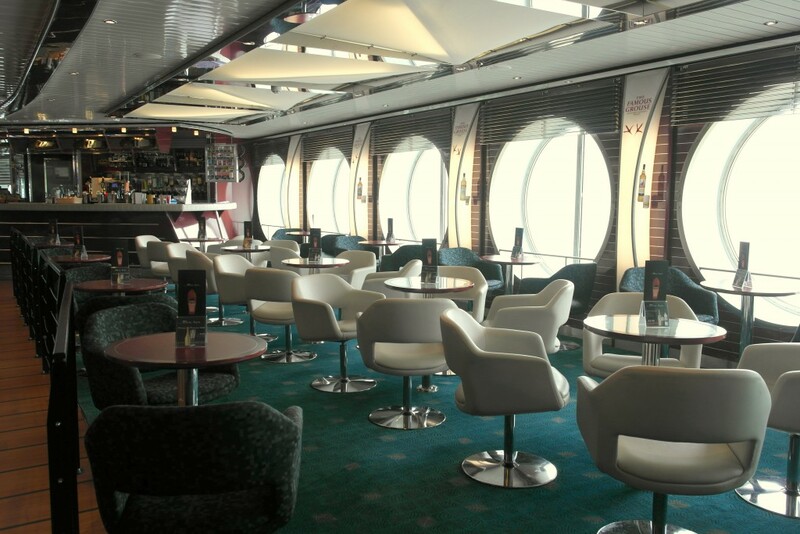 Facilities onboard Britannica include a self service and an a la carte restaurant, a duty free shop, cinema, internet room, gaming area, various lounges and a sun/sports deck. 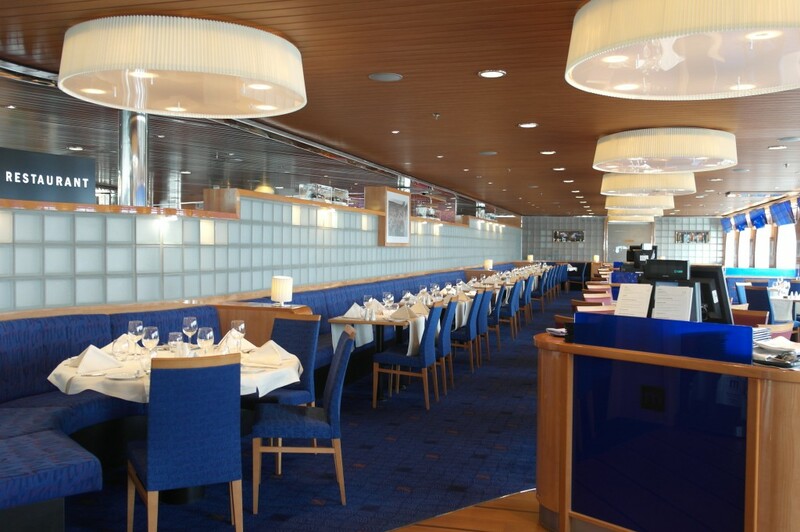 To stay in the true cruise ship spirit there’s even a ‘casino’. We pre-booked our cabin, but once on board it was still possible to book a room for the crossing. 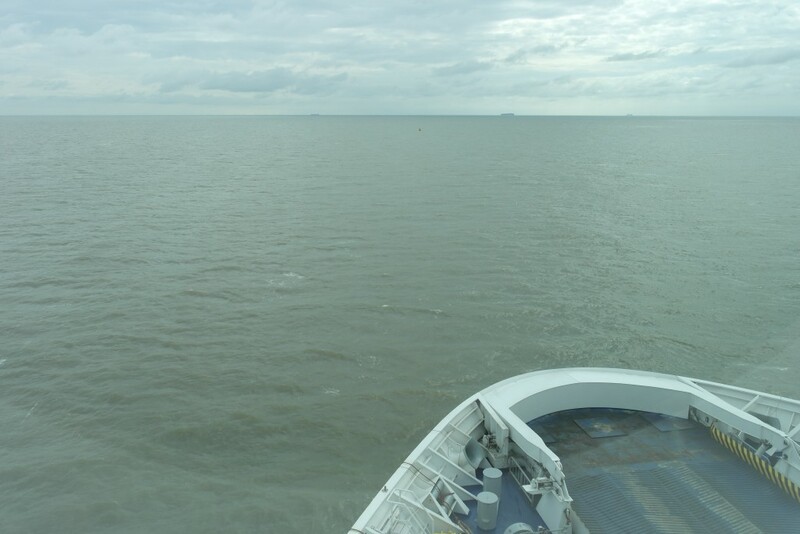 After a few hours of sleep and a revitalizing shower we arrived in Hoek van Holland. 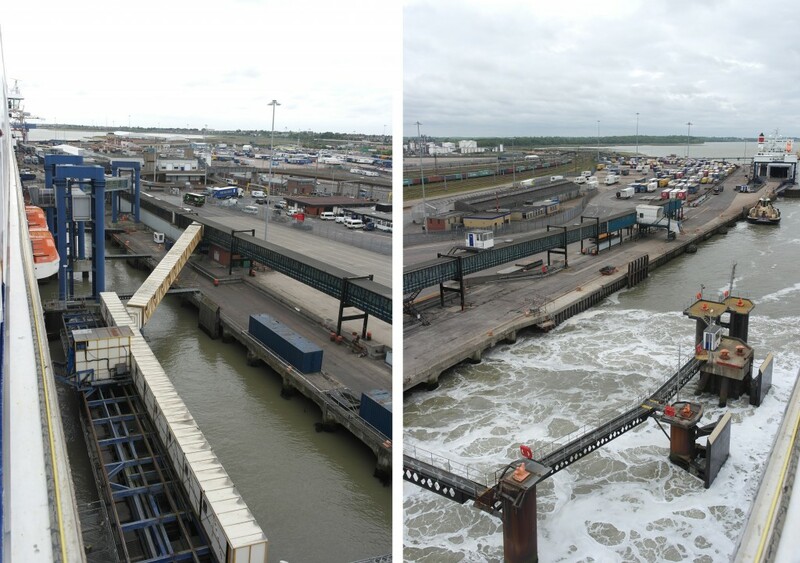 We stepped outside the ferry terminal and walked to the Hoek van Holland train station located next to the terminal building. Not having travelled back home with the Eurostar may have taken us a few hours longer, but it was definitely less stressful and definitely more comfortable.